Early this week, Oklahoma Governor Mary Fallin signed revised emergency rules into law establishing an initial framework for medical cannabis in the state. 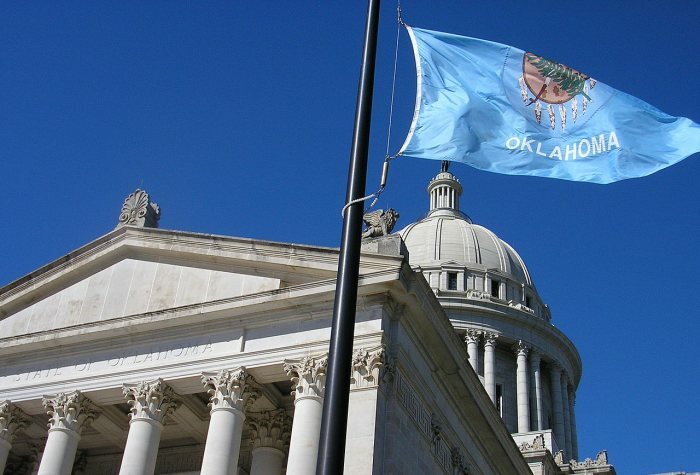 In July, Oklahoma’s State Board of Health voted on a set of rules for governing the state’s new medicinal marijuana program, but met with protest due to a number of issues. Among them was a ban of smokeable products (which was permitted in the draft) and a requirement that dispensaries must have a pharmacist on site. Those two stipulations are not in the revised rules. The full list of the revisions that were proposed can be found here. “We win!!! Just a few more issues to clean up and we are good to go Oklahoma!,” said Oklahomans For Cannabis. Governor Fallin stated regarding the two last-minute amendments to the initial rules mentioned above, she requested the Board of Health rescind those as the public didn’t have sufficient time to review and comment on them. Also removed are limits on the level of tetrahydrocannabinol (THC) in marijuana products and restrictions on dispensary trading hours. “These rules are very basic, and represent the best option in developing a proper regulatory framework for medical marijuana, with the highest priority given to the health and safety of Oklahomans,” said Governor Fallin. In other related news, it’s been reported various energy companies were among the major financial backers of a campaign opposing State Question 788, which sought to legalise the broad licensed use, sale, and cultivation of marijuana for medicinal purposes. One company went as far as also urging employees not to support SQ 788. The largest single donation was noted as coming from the Oklahoma City Chamber of Commerce, which kicked in $215,000. Current cannabis controversy in Oklahoma doesn’t end there – the group, “Green The Vote”, which has been campaigning to get recreational marijuana on the November ballot in Oklahoma has apparently admitted to reporting inflated numbers for its petition in an effort to galvanise support. The group previously announced it received about 132,000 signatures, however, the real figure is around 78,000 – not enough at this point to get it on the ballot. While medical cannabis tends to attract very strong support in most places, many people are still hesitant on the recreational marijuana side of things.